A local, two player competitive game, best played with a loved one. Summon homing lobsters to attack your opponent. Lure lobsters into the fire to potentially generate power ups! Earn your halo! OS X or WINDOWS. Pretty sure this will run on anything. 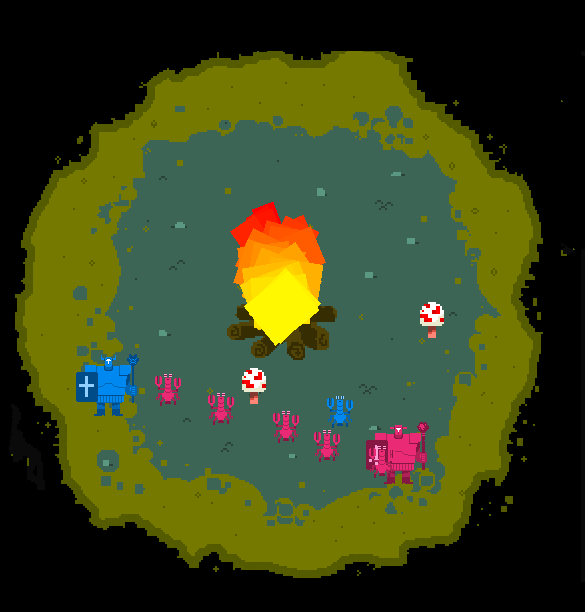 – Lure enemy lobsters into the fire... a power up might appear! – You can each only summon 6 lobsters at a time! – Potions will let you summon more lobsters! – Fire won't hurt you! – Hide in the bushes! – The winner's halo has no benefits/perks besides looking cool. For now.